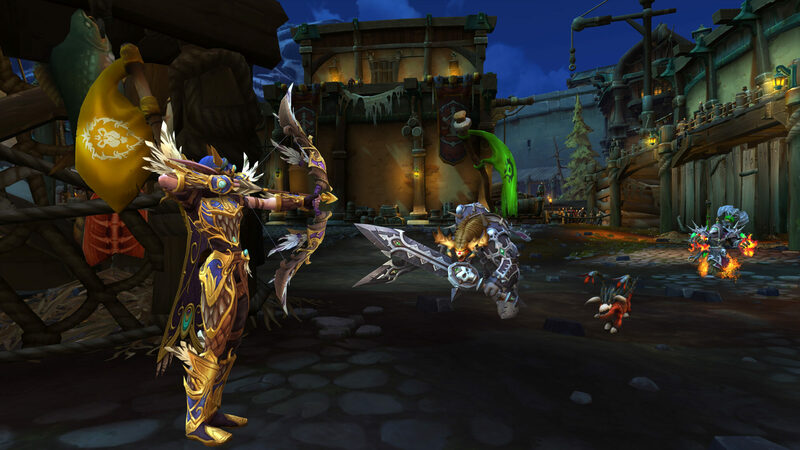 Blizzard has rolled out a World of Warcraft: Battle for Azeroth Season 2 hotfix that reduces all scaled Azerite Powers by 50% in PvP. The January 22 patch offers the first round of hotfixes for Season 2 of Battle for Azeroth and is available now on the US and EU realms. Aside from the above mentioned changes to Azerite Powers, the patch also offers changes to potions that grant invisibility. Potions that grant the player Invisibility (such as Demitri’s Draught of Deception) now place a 5-minute cooldown on all other potion types (was 10 minutes). The shared cooldown time for invisibility potions remains 10 minutes. Resolved an issue that caused Sinister Gladiator’s Maledict to not strike enemy players who have moved out of line of sight after the initial activation of the trinket. Players on “The Lord Admiral’s Lament” while on the Saurfang questline should now be able to see Isabella. “Quartermaster’s Bounty”, in which you turn in 10 Quartermaster’s Coins to get a Battleborn Sigil, is now a weekly repeatable quest. Blizzard notes that some of the changes take effect the moment they were implemented, while others may require scheduled realm restarts to go into effect. Season 2 of World of Warcraft: Battle for Azeroth is available now on the game’s live servers.